Today is my first post for Movin' Around the Word-The 7 Continents. As of last month, I officially have songs to help teach a little about all of the 7 Continents. I will be sharing them with all of you each Monday, so be sure to mark your calendars! To start movin' around the world, we first have to review the 7 continents. So that is what I will post today. This song reviews the 7 continents, what they are, and what surrounds them. I encourage you to have students use their fingers and count the continents as you sing and/or play the song. I promise it will "sink in" faster this way! So, here it is, The 7 Continents! I'm sure you guessed from the title already, but today's post is about Halloween! As of today, the countdown is on with only 7 days left to plan your perfect costume! I just realized that that means there are only a few days left to buy candy for all the ghosts and goblins as well! I really like Halloween as a holiday, but I also like to keep it friendly and fun. I definitely stay away from scary themes. One song I like to use in particular for Halloween is Hap Palmer's, Witches Brew. If you haven't heard this song yet, trust me-it's an oldie, but a goody! Another song I wrote last year is "We say Boo!" You can easily use a voice output device with this song for the word "Boo!" 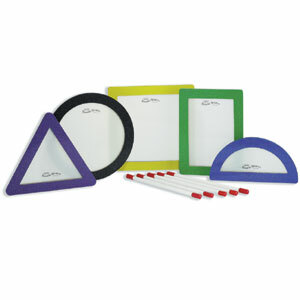 for students who are nonverbal or that have speech delays. The more spirited you say "Boo!" the more they get into it! This song also mentions things we do on Halloween like wearing a costume, going trick or treating, collecting candy, etc.. It is especially helpful for students with autism if you talk about, sing about, and look at pictures/videos of upcoming holidays and/or events and share with them what happens during these events. It lets them know what to expect and what people do before and during these events. Many young students in school spend a lot of time finding patterns. Most of the time, students are introduced to color patterns and shape patterns first. But once simple patterns are learned, many others can be introduced. I wanted to share a song I wrote (that I use quite frequently0, to help students learn and review their patterns. It's called, "Listen for the Pattern", and I often use Remo Sound Shapes drums(see picture above) as visual aides with this song in particular. Today I wanted to share a song about the month of October. But first, I have to share my inspiration for this song. Last year, I heard several songs for particular months of the year by Rachel Rambach over at Listen, Learn, Music. 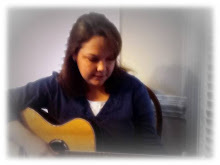 Rachel is a board certified music therapist who is an awesome singer and song writer. Rachel also has a lot of experience working with kids. After hearing several of Rachel's songs that corresponded to each month of the year, I knew I wanted to write some of these songs as well. I've been working on songs for the upcoming months of the year as well. I'll be sharing them soon! The fall season has officially begun and cooler weather and Halloween are on the way! I am currently working on several new songs for the month of October, but wanted to remind you of a song I posted last year. 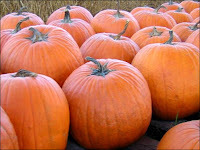 The song, "I have a pumpkin", is a very simple song that addresses basic shapes and parts of a face. I made my own laminated, paper visual as well as designed a Smartboard page to use in sessions. You can follow the instructions in the song, such as, "I'll use two triangles to make his eyes" and ask students to find triangles when paired with other shapes. On another day, you can ask students to pick a shape to put on the pumpkin to make his eyes. This is a great way to target choice making in non-verbal clients (via eye gaze, pointing, touching picture choice, using voice output device,etc.) and an excellent way to reinforce speech with speech delayed students. Stay tuned for another song about October!